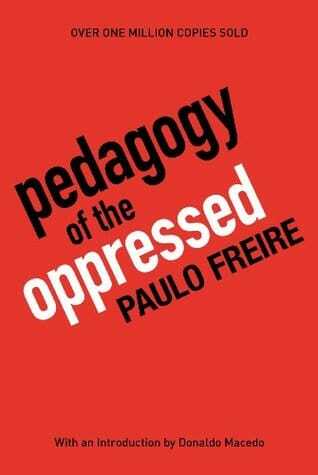 Paulo Freire — such a hero of mine for so many many years, and I am finally working on writing something more thoughtful about popular education and struggle, so upcoming posts will look at Freire, Myles Horton, Julius Nyerere, Ella Baker and Septima Clark, maybe some Erich Fromm, maybe some others — exciting stuff. An intertwined thread I am also working on is violence (oppression is violence in many varied forms after all), its genesis and how we respond to it. I’ve already written about that in Freire’s thinking more fully here. This book is so rich, I’ve been struggling with how to think more deeply about it in smaller pieces. Roughly, I’ve come up with this starting point, about what Freire believes to be the point of being human, and how our current systems and structures strip away our capacity to fully realise our humanity. With this as a goal for our efforts, the other two sections elaborate how we get there — the importance of people speaking for themselves, of genuine dialogue leading to action, reflection, dialogue, further action. And finally, the role of those of us who choose this path towards a better future, activists perhaps, teachers, writers. So, to begin with, the meaning of life in a very long quote. Dehumanization, which marks not only those whose humanity has been stolen, but also (though in a different way) those who have stolen it, is a distortion of the vocation of becoming more fully human. The struggle for humanization, for the emancipation of labor, for the overcoming of alienation, for the affirmation of men and women as persons … is possible only because dehumanization, although a concrete historical fact, is not a given destiny but the result of an unjust order that engenders violence in the oppressors, which in turn dehumanizes the oppressed. I struggle with this last sometimes. It is a bit of an unfair burden, no? But at the same time, the older I get the more I believe it to be true. No one can speak for you, liberate you, that is something you must do for yourself. And those with power and privilege in our system, they are so enmeshed in it, that the likelihood of their being able to fully seek such liberation, to strip away every privilege, every bias, every unquestioned belief to see reality stark as it is, is almost zero. To get anywhere they will need a whole lot of help. All of us are along this spectrum of blindness, and this is where understandings of intersectionality are so important. Ability to recognise where we experience oppression and where we do not, where we must learn and where we must stand firm against those who would try to belittle or pick away at the validity of hard-won understandings of the world…this is really hard. It is only in solidarity with each other, with respect and love and dialogue that any of us can realise our own humanity. This is the foundation. The oppressed, having internalized the image of the oppressor and adopted his guidelines, are fearful of freedom. Freedom would require them to reject this image and replace it with autonomy and responsibility. Freedom is acquired by conquest, not by gift. It must is not an ideal located outside of man; nor is it an idea which becomes myth. It is rather the indispensable condition for the quest for human completion. The oppressed suffer from the duality which has established itself in their innermost being. They discover that without freedom they cannot exist authentically. Yet although they desire authentic existence, they fear it. They are at one and the same time themselves and the oppressor whose consciousness they have internalized. The conflict lies in the choice between being wholly themselves or being divided; between ejecting the oppressor within or not ejecting them; between human solidarity or alienation; between following prescriptions or having choices’ between being spectators or actors; between acting or having the illusion of acting through the action of the oppressors; between speaking out or being silent, castrated in their power to create and recreate, in their power to transform the world. This is the tragic dilemma of the oppressed which their education must take into account. He continues with what I think is the key point — this is hard, painful, troubling, conflictual, and also wondrous. What I love, too, is that this is never abstract. It is achieved through work, through action. On both sides. Above all it recognises that we produce our own realities — the ways in which we do this is uncovered through collective dialogue and collective action. Because it is socially produced, it can be changed. This is the hope of struggle, and always the goal of praxis. If humankind produce social reality (which in the “inversion of the praxis” turns back upon them and conditions them), then transforming that reality is an historical task, a task for humanity. It is in trying to understand how oppressive realities absorb those within, generate new forms of domestication, that I find Stuart Hall and Gramsci so useful, also because I think both operated with similar understandings of the need for people themselves to work towards their own liberation. Freire’s descriptions of why we must find voice, and how we understand praxis is the subject of the next post, and the final post engages with the role of intellectuals, and more of Freire’s theory around the nature of what we are up against and how radical practice stands opposed to it.